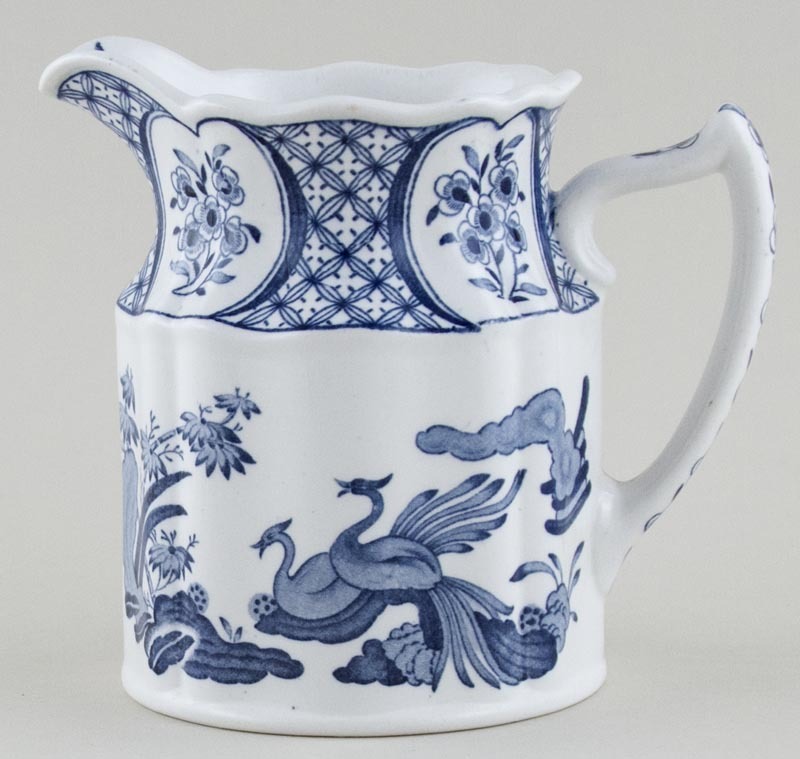 Lovely shape jug with moulded body. Backstamp: Old Chelsea Furnivals Limited Trade Mark England Rd No 647812. A little patchy glaze and minor wear around the inside rim otherwise excellent condition.